Dr Stone has over 15 years senior management experience within local authority and voluntary sectors. She was Operational Director of Action for Children, Wales from 2008 -2011 and previously for AfC West Midlands. Karen has expertise and a record in delivering strategic change and sustainable results through decisive leadership and staff engagement. 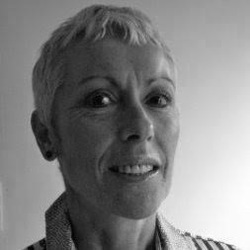 She has extensive experience of undertaking independent reviews of service practice across the UK and also of facilitating collaborative working with local authorities to improve outcomes for children. Karen has also provided consultation to Government of Uganda offering analysis and recommendations to increase leadership effectiveness and the efficiency of community based services. Karen has a broad knowledge of the current social care agenda via research and engagement with a range of local authorities and voluntary organisations. C4EO Safeguarding Sector Specialist and experienced Safeguarding Peer Reviewer and Early Intervention Specialist Peer Reviewer. She also has specialist knowledge and experience of Adoption Diagnostics and Service Improvement, as well as development of local authority strategies in relation to Early Help and Children Looked After. Karen uses coaching, training and consultation to impact positively on outcomes for children. ​Karen has an academic background, alongside her research and publication record. Her current book - Assessing Children at Risk, (with Neil Hall and Bob Trotman, Macmillians) is due for publication. Karen is also a renowned trainer and coach.